The Samsung SPU-100TR is a single channel balun transceiver that coverts both balanced and unbalanced electrical signals to their opposite state. 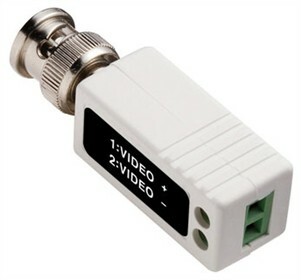 It has high quality video with stable performance with Quick and convenient installation & management. video and data signals can be transferred over long distances, up to 900m with uncompromised brightness and clarity. The SPU-100TR is equipped with circuits that are strictly tested for surge and lightning resistance provide perfect protection against a maximum of ±4KV surge and lightning while achieving stable performance that satisfies the ANSI/IEEE 587 C62.41standards. The Samsung SPU-100TR has many exciting features for users of all types. The Samsung SPU-100TR is sold as a Brand New Unopened Item.